The final quality of our products stems from our professional thoroughness. 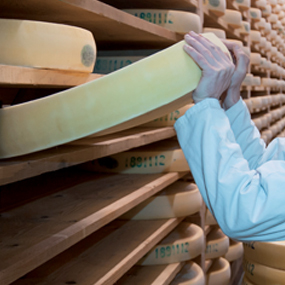 Collecting the finest-quality raw materials, going through the adequate steps, maintaining a propitious environment, ensuring tailor-made monitoring: these many successive commitments help reveal quality cheese at the right time to those who expect the best. 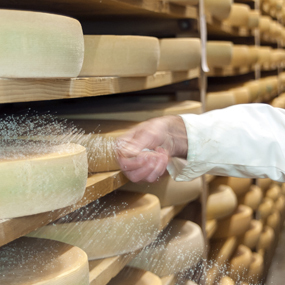 Fromageries Vagne bases their daily tasks on this engagement, taking Comté, Morbier and Raclette to their flavour apex.